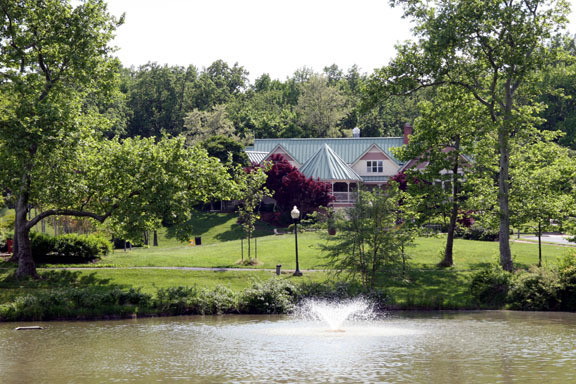 When Quiet Waters Park first opened its doors in September 1990, The Friends of Quiet Waters Park was founded as a non-profit 501-(C-3 support organization. The mission of this group is to provide volunteers to assist in the park activities and to raise monies to aid in the beautification and maintenance of the acreage of this massive park. At that time, a Fine Arts Committee and a gallery exhibition program was initiated and coordinated by one of the volunteers. It was at that time that the walls of the Visitor Center’s Willow Gallery, Garden Gallery, and Dogwood Gallery became venues for juried art exhibitions.This Fine Arts Committee, composed of volunteers, (all artists, art administrators, art teachers or patrons has provided the viewing public with various media from numerous prominent artists and art organizations from the Baltimore-Washington metropolitan area, out-of-state and abroad. 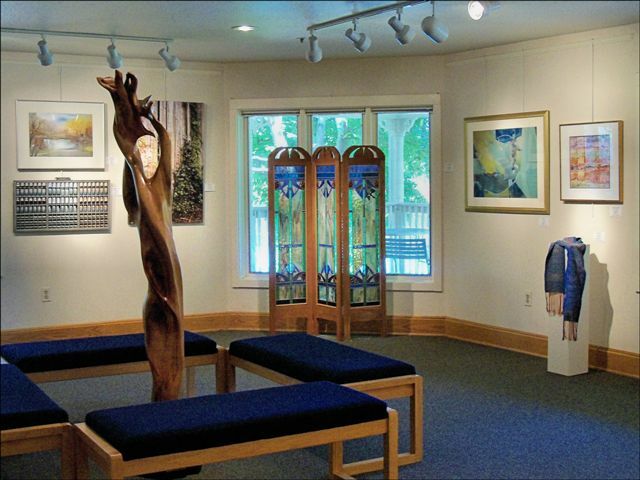 The space is rented to the exhibiting artists for approximately a six week period at a nominal fee, and when work is sold, twenty-five percent of the purchase price goes to The Friends of Quiet Waters Park. This fund-raising program has been extremely successful for both the exhibiting artists and the Friends, and in the more than twenty year period since its inception, has generated thousands of dollars for use in the park.The Fine Arts Committee also has a community outreach program in which the Friends sponsor different groups and organizations. In past years the committee has presented the Anne Arundel County High School Juried Student Art Exhibitions, The Art of The Capital Photographers – a tribute to all the photo-artists of Annapolis’ local newspaper who have captured the spirit of the community and its cultural activities throughout the years. 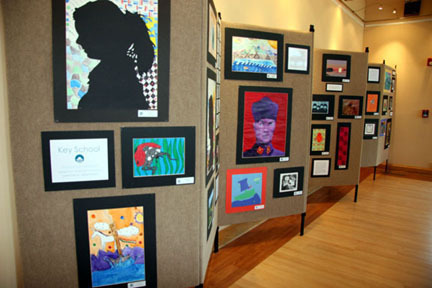 In 2004 the galleries sponsored the first special exhibit celebrating the art work of members from all the senior centers. All these exhibitions and opening receptions are sponsored by the Friends using their funds or grant money and at no expense to the exhibiting organizations. In addition to the ongoing exhibitions, The Fine Arts Committee works with the staff of Quiet Waters Park in coordinating Art@ the Park occurring in the fall of each year. This event has attracted many of the most talented artists and craftsmen from the Chesapeake area and from out-of-state. Because of it its popularity and reputation the spaces are usually filled up well in advance with a waiting list. Again, this event has generated monies to be used directly for the benefit of the park.Several of the members of the Fine Arts Committee also serve on the Outdoor Sculpture Committee with the president of the Friends of Quiet Waters Park and the superintendent of the park selecting artworks from artists residing throughout the United States and abroad. Changing periodically, these creative and innovative sculptures enhance the park’s natural beauty throughout the three-hundred thirty-six acres of woodlands and open space.As time goes on the Fine Arts Committee members are continually making plans to reach out in new directions and attract many diversified exhibitors to the gallery space.